There are millions of boys growing up in a culture that has made gender-based violence acceptable. Their attitude towards women and girls is considered a problem but they are not engaged in the solutions. Through Action for Equality we support adolescent boys with knowledge, skills, peer support and agency to understand and challenge gender-based violence and be equitable. Till date, 5065 boys have benefited from the programme. 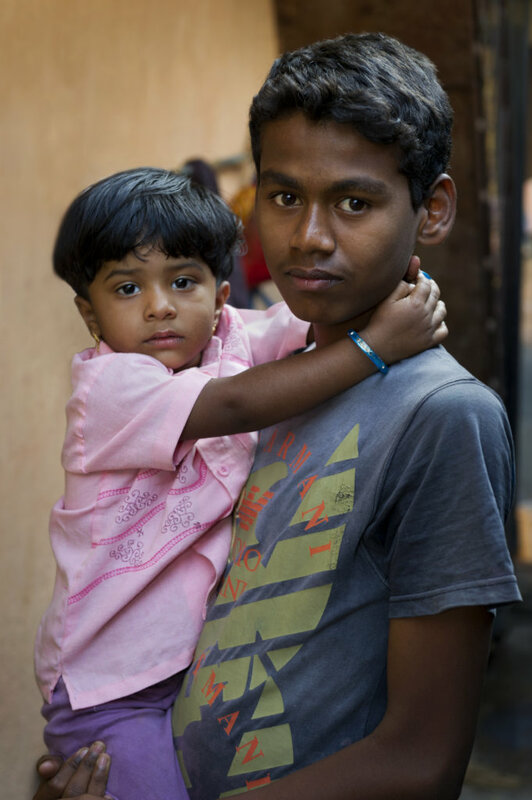 Our mission is to raise every boy in India to be gender equitable. 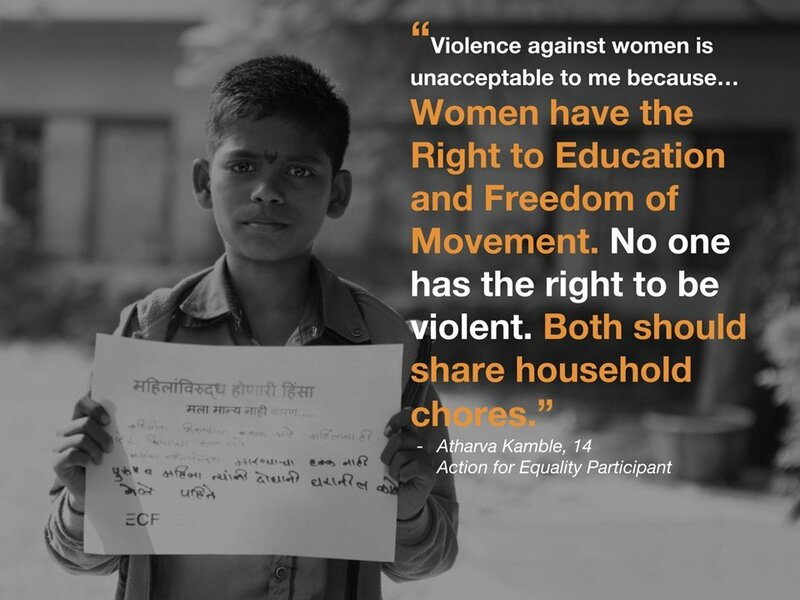 In India, 35% of women face gender violence at the hands of men (ICRW, 2011). This is violation of women's rights mostly related to education, health & safety. The traditional approach to tackling this problem is to support women directly. However, this approach does not address discrimination at its root cause i.e. inequitable social norms, and is alone not delivering the required results in reducing inequality and violence. Young boys/men therefore needs to be involved as part of the solution. Adolescence is a critical stage in the development of one's self identity. Action for Equality is an ongoing programme, specifically designed to build alternative, more equitable male identities to prevent violence against women.Programme graduates have demonstrated more equitable attitudes, higher level of respect towards female relatives and have continued taking actions against street sexual harassment, child marriages, education and community campaigns on various women centric issues. By 2027, we aim to raise 60,000 gender equitable boys through direct implementation of the programme as well as supporting other organisations in adopting this approach. These boys will not just change their own behaviour but influence their fathers, friends, other family and community members to change theirs. Women and girls in the lives of these boys will experience a significant reduction in or in fact zero gender-based violence and discrimination at hands of boys. will contribute to the development of gender transformative programme resources such as 60 weeks Action for Equality Programme handbook for the adolescent boys. will provide an opportunity to equip 1 boy with skills and peer support to change their attitudes and behaviours to take action against gender based violence through Action for Equality Programme. will provide an opportunity to equip 4 boys with skills and peer support to change their attitudes and behaviours to take action against gender based violence through Action for Equality Programme. will provide an opportunity to equip 10 boys with skills and peer support to change their attitudes and behaviours to take action against gender based violence through Action for Equality Programme. will provide an opportunity to equip 20 boys with skills and peer support to change their attitudes and behaviours to take action against gender based violence through Action for Equality Programme. will contribute to the development of gender transformative programme resources, such as 60 weeks Action for Equality Programme handbook for the adolescent boys. will equip 6 boys with skills and peer support to change their attitudes and behaviours to take action against gender based violence through Action for Equality Programme for a year. will contribute to the cost of Big Meet and Greet (BMG) events that provide boys a platform for networking, peer learning and experience exchange.